Charles Curtis (January 25, 1860 – February 8, 1936) was an American attorney and politician, elected as the 31st Vice President of the United States (1929–33) with President Herbert Hoover. After serving as a United States Representative and being repeatedly re-elected as United States Senator from Kansas, Curtis was chosen as Senate Majority Leader by his Republican colleagues. Born in Kansas Territory to a mother of the Kaw Nation, Curtis was the first person with significant Native American ancestry and the first person with acknowledged non-European ancestry to reach either of the highest offices in the United States government's executive branch. He is notable also as an Executive Branch officer born in a territory rather than a state. Curtis ran for Vice President with Herbert Hoover as President in 1928. They won a landslide victory. Although they ran again in 1932, the voters, feeling Hoover had failed to alleviate the Great Depression, elected Democrats Franklin D. Roosevelt and John Nance Garner. Born on January 25, 1860 in Topeka, Kansas Territory, prior to its admission as a state in January 1861, Charles Curtis had considerable American Indian ancestry. His mother Ellen Papin (also spelled Pappan) was Kaw, Osage, Potawatomi, and French. His father Orren Curtis was of English, Scots, and Welsh ancestry. On his mother's side, Curtis was a descendant of chief White Plume of the Kaw Nation and chief Pawhuska of the Osage. Curtis's first words as an infant were in French and Kansa, learned from his mother. She died when he was three, but he lived for some time with her parents on the Kaw reservation and returned to them in later years. He learned to love racing horses; later he was a highly successful jockey in prairie horse races. After Curtis's mother's death in 1863, his father remarried but soon divorced. Orren Curtis was captured and imprisoned during his Civil War service, and during this period, the infant Charles was cared for by his maternal grandparents. They helped him gain possession of his mother's land in North Topeka, which, in the Kaw matrilineal system, he inherited from her. His father tried unsuccessfully to get control of this land. Orren Curtis married a third time and had a daughter, Theresa Permelia "Dolly" Curtis, born in 1866 after the war. Curtis was strongly influenced by both sets of grandparents. After living on the reservation with his maternal grandparents, M. Papin and Julie Gonville, he returned to Topeka. He lived with his paternal grandparents while attending Topeka High School. Both grandmothers encouraged his education. On November 27, 1884, Charles Curtis married Annie Elizabeth Baird (1860–1924). They had three children: Permelia Jeannette Curtis (1886-1955), Henry "Harry" King Curtis (1890–1946), and Leona Virginia Curtis (1892–1965). He and his wife also provided a home in Topeka for his half-sister Theresa Permelia "Dolly" Curtis before her marriage. His wife died in 1924. A widower when elected Vice President in 1928, Curtis had his half-sister "Dolly" Curtis Gann (March 1866 – Jan. 30, 1953) act as his official hostess for social events. She had lived with her husband Edward Everett Gann in Washington, DC since about 1903. He was a lawyer and at one time an assistant attorney general in the government. Attuned to social protocol, Dolly Gann insisted in 1929 on being treated officially as the #2 woman in government at social functions, and the diplomatic corps voted to change a State Department protocol to acknowledge this while her brother was in office. To date, Curtis is the last Vice President to be unmarried during his entire time in office. Alben W. Barkley, who served as Vice President from 1949 to 1953, entered office as a widower; he remarried while in office. Based on his personal experience, Curtis believed that Indians could benefit by getting educated, assimilating, and joining the main society. Implementation of this act completed the extinguishing of tribal land titles in Indian Territory, preparing it to be admitted as the state of Oklahoma, which was done in 1907. The government tried to encourage Indians to accept individual citizenship and lands, and to take up European-American culture. By the end of the century, it had set up boarding schools for Indian children as another method of assimilation. Curtis served in the House from March 4, 1893, until January 23, 1907. 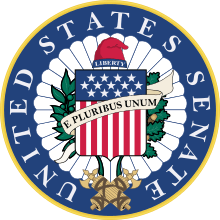 The 17th Amendment providing for direct election of Senators was adopted in 1913. In 1914, Curtis was elected to Kansas' other Senate seat by popular vote, and re-elected in 1920 and 1926. He served from March 4, 1915 to March 3, 1929, when he resigned to become Vice President. During his tenure in the Senate, Curtis was President pro tempore of the Senate, Chairman of the Committee on Expenditures in the Department of the Interior, of the Committee on Indian Depredations, and of the Committee on Coast Defenses, and Chairman of the Republican Senate Conference. He also was elected for a decade as Senate Minority Whip and for four years as Senate Majority Leader after Republicans won control of the chamber. Thus he held all the senior leadership positions in the Senate and was highly respected for his ability to work with members on "both sides of the aisle." Curtis' leadership abilities were demonstrated by his election as Republican Whip from 1915 to 1924 and Majority Leader from 1925 to 1929. He was effective in collaboration and moving legislation forward in the Senate. Idaho Senator William Borah acclaimed Curtis as "a great reconciler, a walking political encyclopedia and one of the best political poker players in America." Time magazine featured him on the cover in December 1926 and reported, "it is in the party caucuses, in the committee rooms, in the cloakrooms that he patches up troubles, puts through legislation" as one of the two leading senators, with Reed Smoot. Curtis was remembered for not making many speeches. He was noted for keeping the "best card index of the state ever made." Curtis used a black notebook, and later a card index, to record all the people he met while in office or campaigning, and continually referred to it, resulting in his being known for "his remarkable memory for faces and names." "Never a pension letter, or any other letter for that matter, came in that wasn't answered promptly... And another name went into the all-embracing card index. The doctors were listed. The farm leaders. The school teachers. The lists were kept up to date. How such an intricate index could be kept up to date and function so smoothly was a marvel to his associates. It was one of Curtis' prides." Curtis was celebrated as a "stand patter," the most regular of Republicans, and yet a man who could always bargain with his party's progressives and with senators from across the center aisle. Newspapers claimed that Curtis knew the Senate rules better than any other senator and declared him "the most competent man in Congress to look after the legislative program of the administration." President Calvin Coolidge, First Lady Grace Coolidge, and Senator Curtis on their way to the Capitol building on Inauguration Day, March 4, 1925. In 1928, Curtis was the Republican candidate for Vice President, as running mate to Herbert Hoover. They won in a landslide, 58% to 41%. Curtis resigned from the Senate to assume his new office. Curtis arranged for a Native American jazz band to perform at the inauguration on 4 March 1929. Soon after the Great Depression began, Curtis endorsed the five-day work week, with no reduction in wages, as a work-sharing solution to unemployment. He was 69 when he took office, making him the second-oldest Vice President to date, behind Alben W. Barkley at 71. Curtis' election as Vice President made history because he was the only native Kansan and only Native American to hold the post, as well as the first person of acknowledged non-European ancestry. The first American of significant Native American ancestry to be elected to such high office, Curtis decorated his office with Native American artifacts and posed for pictures wearing Indian headdresses. Curtis was the first Vice President to take the oath of office on a Bible in the same manner as the President. Since he employed a woman as secretary to the Vice President, instead of the customary man, he scored another minor first. Lola M. Williams of Columbus, Kansas, who had been working for Curtis for some time, was one of the first women to enter the Senate floor, traditionally a male monopoly. After the Stock Market Crash in 1929, the problems of the Great Depression led to the defeat of the Republican ticket in the next election. Democrat Franklin D. Roosevelt was elected as president by a margin of 57% to 40% in 1932. Curtis' term as Vice President ended on March 4, 1933, and he was succeeded by John Garner. Curtis decided to stay in Washington, D.C., to resume his legal career, as he had a wide network of professional contacts from his long career in public service. He was featured on the cover of Time magazine, December 20, 1926 and June 18, 1928, while serving as US Senator from Kansas. Full-length articles discussed his life and politics. He was featured as Vice President on the cover of Time, December 5, 1932. His house in Topeka, Kansas has been listed on the National Register of Historic Places and designated as a state historic site. The Charles Curtis House Museum is now operated as a house museum. ↑ McKie, Scott (4 February 2014). "Charles Curtis: America's Indian Vice President". Cherokee One Feather. Retrieved 20 June 2016. ↑ "January 29 – This Date in History: Kaw Member Charles Curtis Becomes US Senator". Native News Online (29 January 2014). Retrieved 20 June 2016. ↑ Christensen, Lee R. The Curtis Peet Ancestry of Charles Curtis Vice-President of the United States 4 March 1929-3 March 1933. ↑ "Genealogy of Vice President Charles Curtis - Mother's side: Pappans (of Charles Curtis)". VPCharlesCurtis.net. Retrieved July 19, 2010. 1 2 3 4 "Charles Curtis, 31st Vice President (1929-1933)". U.S. Senate: Art & History. US Senate.gov. Retrieved December 14, 2011. , reprinted from Vice Presidents of the United States, 1789–1993. Washington, DC: US Government Printing Office. 1997. ↑ Unrau, William E. (1971). Mixed Bloods and Tribal Dissolution: Charles Curtis and the Quest for Indian Identity. Norman, OK: University of Oklahoma Press. pp. 72–75. and Crawford, Samuel J. (1911). Kansas in the Sixties. Chicago, IL: A.C. McClurg. p. 289. ↑ Blackmar, Frank Wilson (1912). 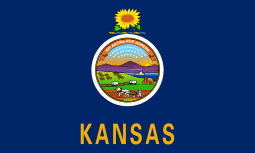 Kansas: A Cyclopedia of State History, Embracing Events, Institutions, Industries, Counties, Cities, Towns, Prominent Persons, Etc. Standard Publishing Company. p. 487. 1 2 United States Congress. "Charles Curtis (id: C001008)". Biographical Directory of the United States Congress. 1 2 "The Congress: Quiet Leader". Time. December 20, 1926. Archived from the original on 2008-12-20. Retrieved December 30, 2009. 1 2 3 "Obituary". Kansas City Star. 9 February 1936. Quoted in J.R. Mendoza (23 March 2003). "Charles Curtis: Doing it his way". Topeka Capital-Journal. ↑ "Former Vice President, Charles Curtis. Succumbs". Southeast Missourian. February 8, 1936. p. 1. Retrieved August 13, 2011. ↑ "Senator Charles Curtis". Time. June 18, 1928. Archived from the original on 2010-11-21. Retrieved December 30, 2009. ↑ "Lamest Duck". Time. December 5, 1932. Archived from the original on 2009-04-02. Retrieved January 21, 2010. Wikimedia Commons has media related to Charles Curtis. United States Congress. "Charles Curtis (id: C001008)". Biographical Directory of the United States Congress.